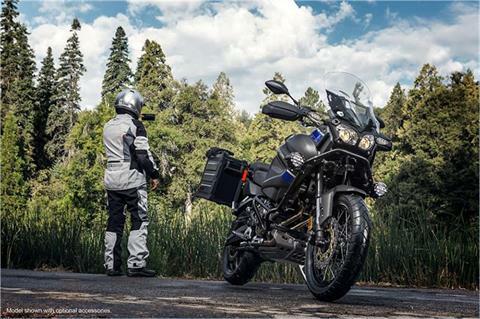 The Super Ténéré® equips you with a powerful compact parallel engine, wide-ratio 6-speed transmission, advanced fuel injection, traction control, ABS and multiple rider adjustable comforts. ROBUST STEEL CHASSIS: The steel frame is designed to reduce rider fatigue during long rides. Using a steel main frame offers the best balance of strength and flexibility so it can help absorb jolts from uneven road surfaces. ASSURED BRAKING: The ABS and Unified Brake System (UBS) work together to help prevent wheel lock during braking. 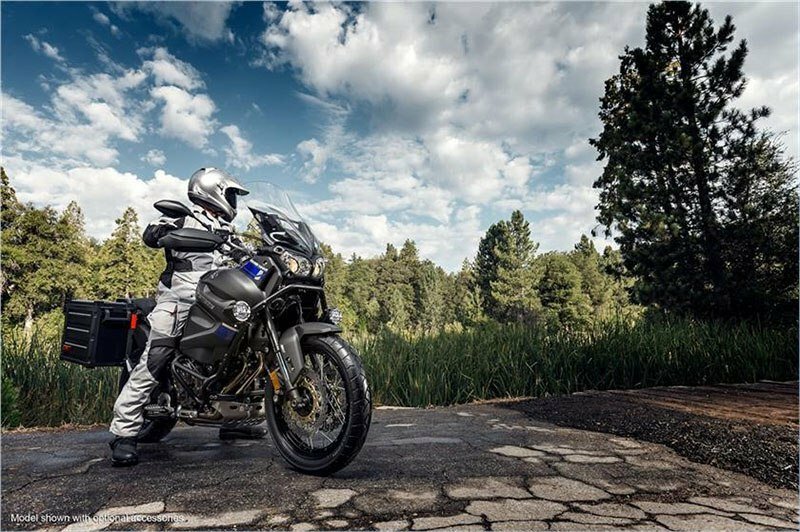 This system allows the rider to operate front and rear brakes together by simply pulling the front brake lever, especially helpful when riding while standing on the pegs. Applying the rear brake first overrides UBS to provide traditional separate front and rear brake control. PLUSH, ADJUSTABLE SUSPENSION: Adjustable preload suspension allows the rider to adjust for varying loads or a passenger. The forks are compression and rebound adjustable and the rear shock is rebound-damping adjustable as well. CUSTOMIZABLE COMFORT: The Super Ténéré comes equipped with both adjustable windshield and seat height. One inch of seat height adjustment provides a lower height for shorter riders or a roomier riding position for taller riders in the high position, while the windscreen can be easily adjusted 2.3 inches vertically without tools. ADVENTURE-READY ERGONOMICS: The grooved foot pegs show Yamaha’s attention to detail: While the rider is seated, rubber cushions provide excellent comfort. When the rider stands to tackle more technical riding conditions, the rubber compresses, letting the rider’s boots contact the metal foot peg surface. 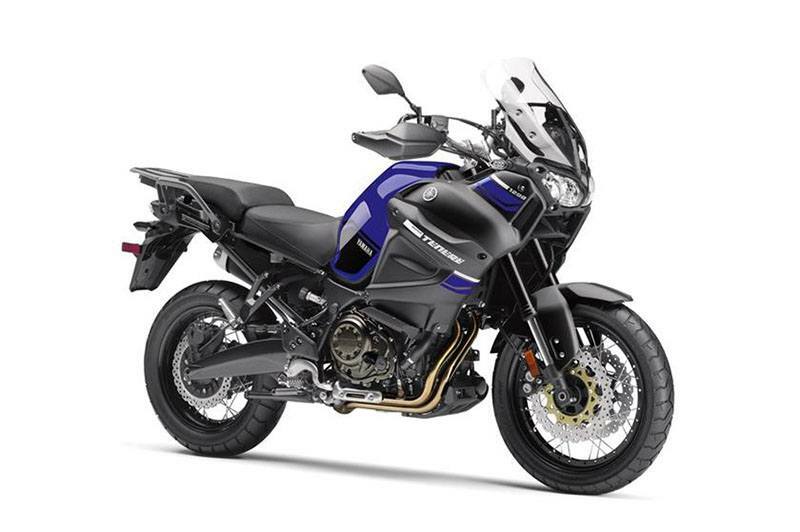 CROSSPLANE CRANKSHAFT ENGINE: The 1,199 cc parallel twin, liquid-cooled engine features a unique 270° crossplane crankshaft for superior traction. It’s almost like having a big-bore thumper without the uncomfortable vibration. 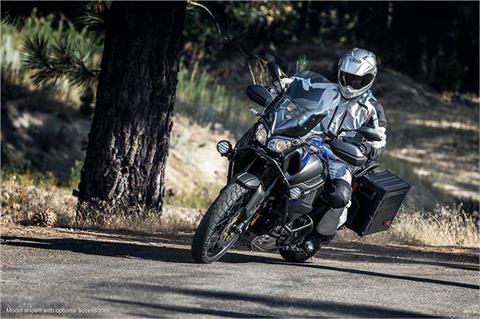 ADVENTURE-READY MOTOR: Compact engine design uses a dry-sump oil supply inside the crankcase, boosting ground clearance, while a side-mounted radiator makes the Super Ténéré surprising narrow and protects the radiator from rocks and debris. 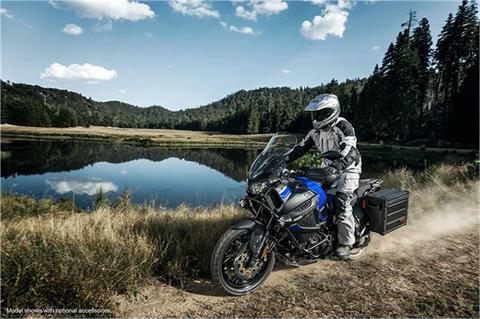 ADVANCED FUEL INJECTION: Downdraft twin bore fuel injection system with 12-hole injectors is tuned for on- or off-road adventures, and is equally at home commuting as it is on long stretches of open highway. TRACTION CONTROL: Proven YCC-T fly-by-wire technology allows for an advanced traction control system, which regulates ignition timing and fuel injection volume and throttle valve opening based on rear wheel spin. 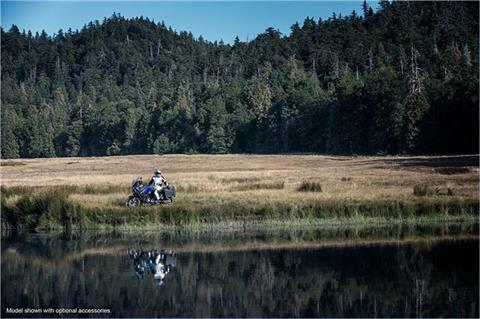 Three rider-selected modes are available to match conditions and the rider’s preference. 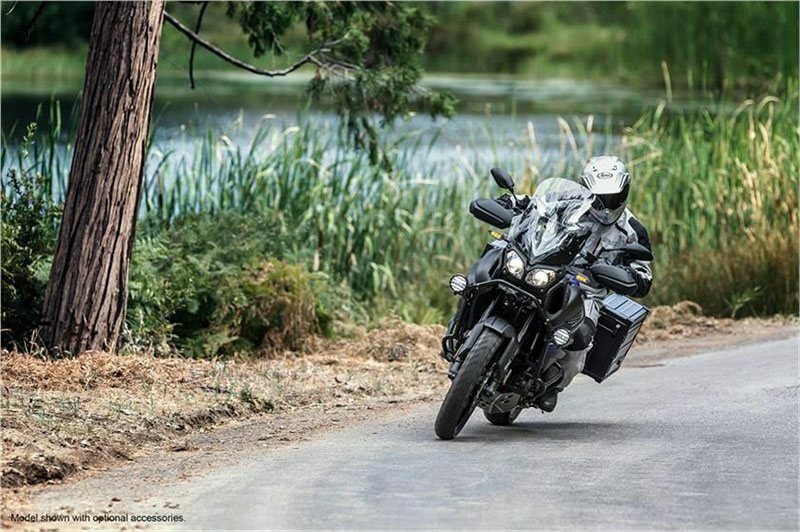 CRUISE CONTROL: The Super Ténéré includes a cruise control system powered by the YCC-T. 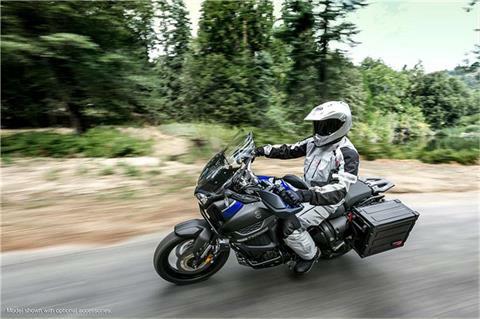 The rider can easily select or adjust a set speed to ease long-distance touring on the highway. ALL-PURPOSE DRIVETRAIN: Wide-ratio 6-speed transmission has gear ratios optimized for everything from slow dirt roads to higher speed sport riding. 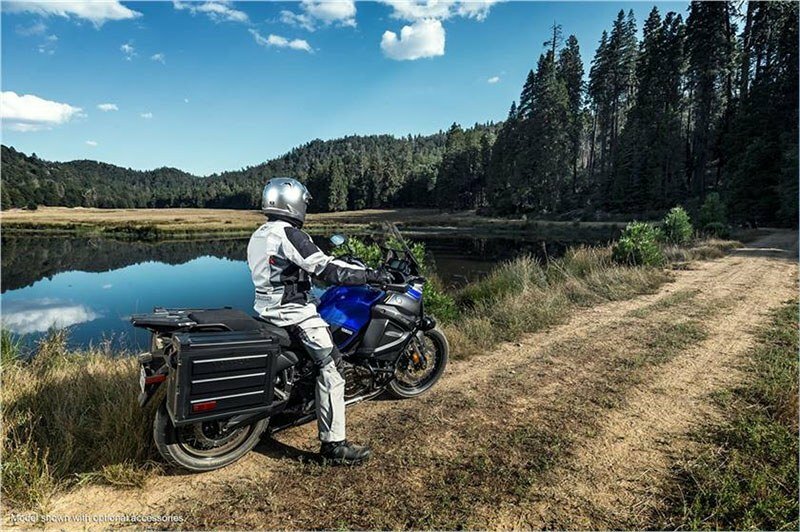 The durable enclosed shaft drive is protected from the elements while providing a direct, responsive connection to the rear wheel. 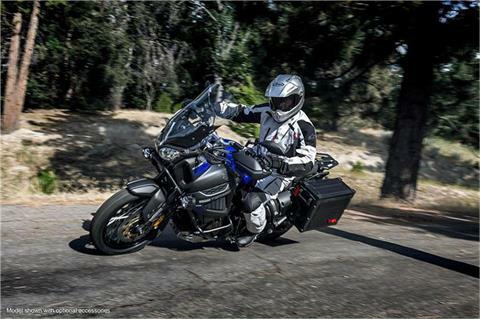 D-MODE THROTTLE: Yamaha’s D-Mode throttle offers two response settings: “T-mode” for Touring and general riding, giving a softer response, and “S-mode” for Sport riding, when the rider wants the most performance possible. LUGGAGE READY: The optional flexible luggage system design has three possible setups: standard with no top case/side bags, top case installed, or side cases installed. These accessories were included during the design of the motorcycle so as to enhance the look of the bike. BEEFY CONTROLS: Wraparound handlebar brush guards are standard equipment, mounted to a tough rubber-mounted handlebar. STANDARD CENTERSTAND: Both side stand and center stand are provided for complete parking convenience. 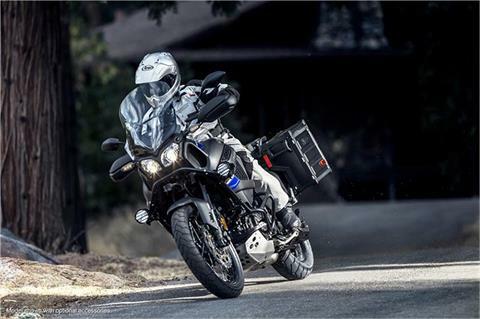 COMPACT AND POWERFUL ENGINE: The Super Ténéré® is built for adventure, with an exceptionally compact 1,199 cc parallel twin using a unique 270° crank for excellent torque and traction. Engine mass is kept low for great handling. 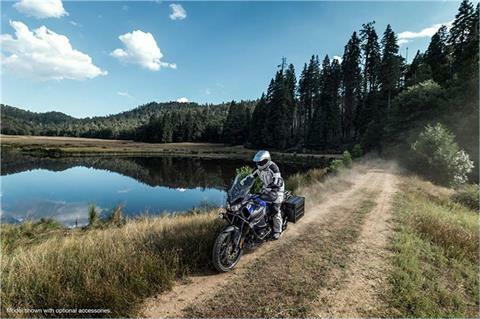 Narrow 2-cylinder inline engine is slim and compact for carving tight lines in twisty mountain roads. ALL-PURPOSE DRIVETRAIN: Wide-ratio 6-speed transmission has the right gear, whether on the open highway or off-road. 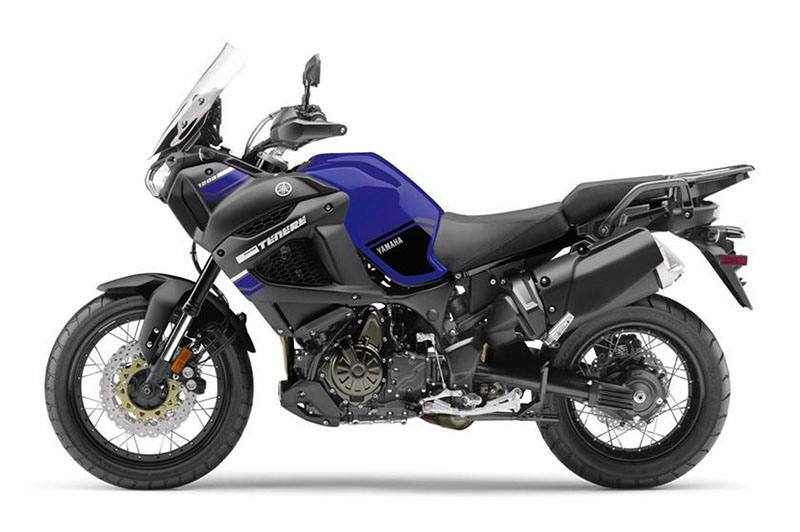 The durable enclosed shaft drive is protected from the elements while providing a direct, responsive connection to the rear wheel. 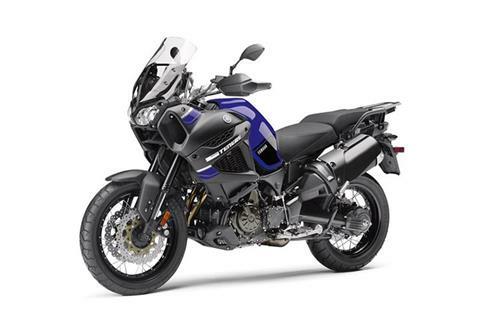 ADVANCED FUEL INJECTION: Twin downdraft throttle body fuel injection with YCC-T® (Yamaha Chip Controlled Throttle) delivers optimum throttle control and acceleration. 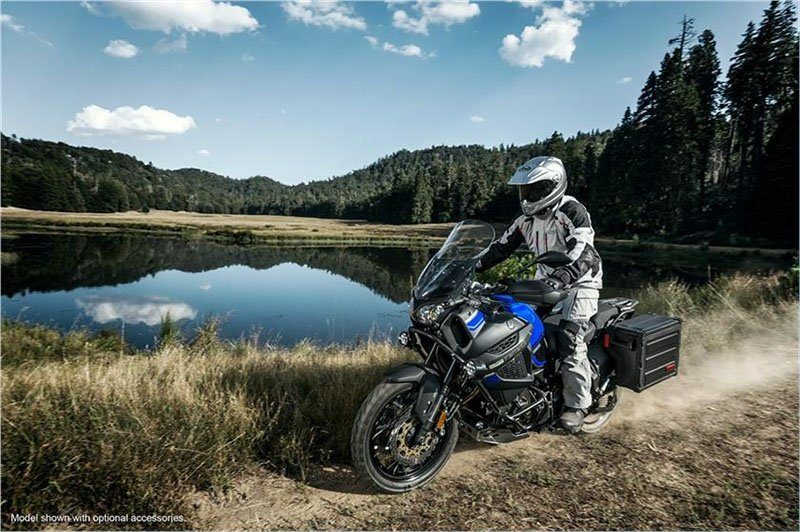 Two-position “D-Mode” (Drive Mode) throttle response allows the rider to adjust mapping for conditions or preferences. TRACTION CONTROL: Traction control lets the rider get on the gas with confidence. This very advanced system regulates ignition timing, fuel injection and throttle valve opening based on wheel spin, providing a smooth response that is not abrupt like the competitors. Three modes available to match rider preference, including off. 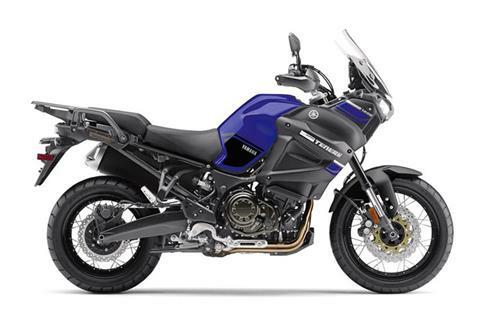 ASSURED BRAKING: Super Ténéré has both an Antilock Braking System (ABS) and Unified Braking System (UBS). 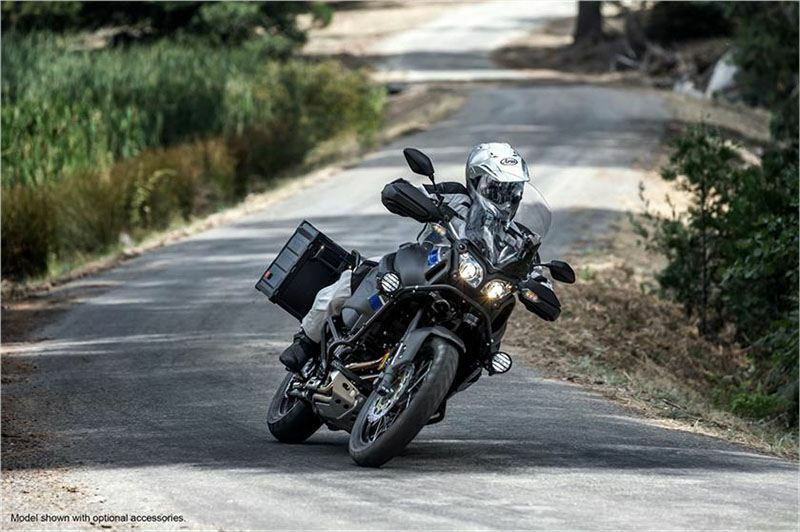 With UBS, squeezing the front brake lever also provides some rear-wheel braking; pressing the rear brake first overrides UBS for traditional separate front and rear braking action. CONVENIENCE AND COMFORT: Whether riding across town or crossing a continent, rider comfort and convenience are important. 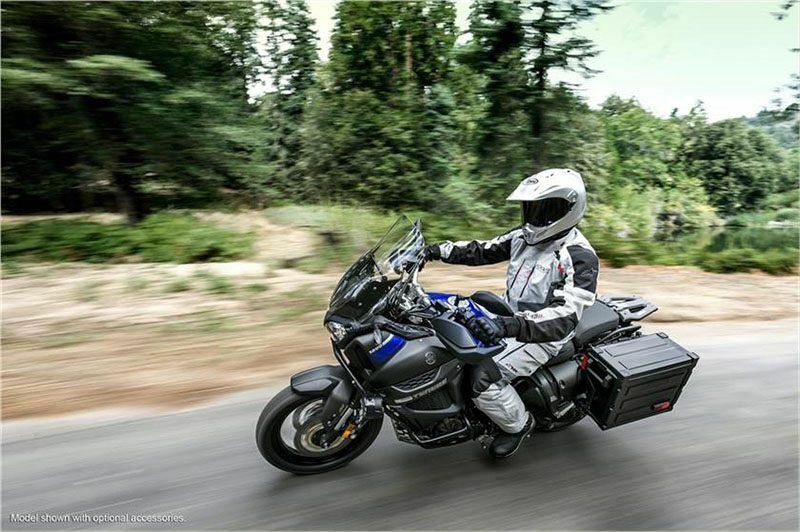 Super Ténéré delivers, with cruise control, an adjustable seat height and windshield, tuneable front and rear suspension, low-maintenance shaft drive, centerstand and more.